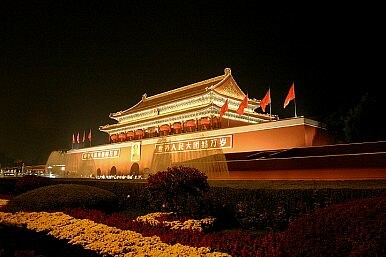 Looking for the best articles on China from around the net? We have you covered. Every Wednesday, The Diplomat’s editorial team gazes out across the web to find our readers the best material involving all things China. From Beijing’s relations with its neighbors, its growing military might, and a rapidly growing and evolving economy, to amazing arts and culture, we present a diverse grouping of articles for your reading pleasure. Here is our top five this Wednesday. Have we missed something? Want to share an important article with other readers? Please submit your links in the comment box below! 1. China Sentences 20 for Separatist Acts in Restive Region (The New York Times) – "China cracks down on what it calls separatist activity in a region that has been a hotbed of ethnic tensions." 3. Fat Profits Over but Sunny Days Still for China Banks (CNBC) – "This week two of China's biggest banks reported their worst annual earnings growth since going public, but analysts said the sector is far from seeing the end of its heydays." 4. In Inaugural Trip, China's President Pushes Trade Ties With Africa (CNN) – “Chinese President Xi Jinping’s inaugural trip, which has taken him to Russia, Tanzania and South Africa before a final stop in the Republic of the Congo, has been examined for what it says about his aspirations for a multipolar world and the potential to develop counterweights to influence of the U.S. and Europe. 5. Nicolas Cage Hired by China’s BAIC Motor to Promote Senova Cars (Bloomberg) – "Actor Nicolas Cage has signed on as brand ambassador for Chinese automaker BAIC Motor Corp., joining Brad Pitt and Barcelona soccer star Lionel Messi in promoting automobiles in the world’s largest vehicle market." China is doubling down on Pakistan – and this time, it's determined to keep militancy from damaging the relationship. Examining Crime and Terrorism Along China’s Belt and RoadChina’s Rise in the Middle East: Beyond EconomicsChina in the Middle East: Past, Present, and FutureChina’s Crisis of OverconfidenceIs China Fueling an East Asian Arms Race?